The Japanese Yahoo! Shopping retail website & Yahoo! Auctions bidding portal are some of the most popular online shopping sites in Japan. Now possible to navigate with an English language version. Yahoo Inc. owned Yahoo!ショッピング is an online shopping mall (インターネットショッピングモール) with much popularity in Japan. Online purchase is made attractive with an “all-under-one-roof” approach making a wide range of products available with inexpensive and fast home delivery. Within the huge range in categories, some include: Games, Toys, Hobby, Baby, Kids, Interior, Household Goods, Watches, Accessories, Pets, Flowers, Gardening, Beauty, Health Care, Ladies’ Fashion, Car, Motorcycle, Bicycle, CD, DVD, Books, Food, Drink, DIY, Tools, Stationery, Men’s Fashion, Consumer Electronics, Personal Computer, Camera, Sports, Outdoor. Rebranded in Japan as ヤフオク! and romanized as: Yafuoku! 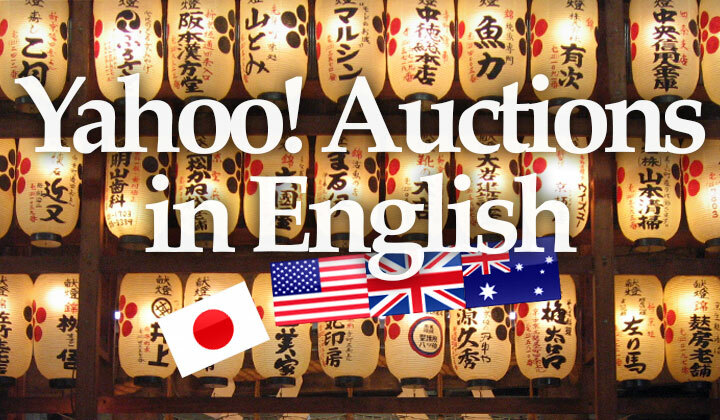 (previously known as Yahoo!オークション) , is a popular auctions portal in Japan. Focused in consumer-to-consumer bidding and retail sales, amongst the Japanese it is known as an easy and convenient website for selling goods. Yahoo Auctions has been discontinued in western countries, with the original intent of competing with the eBay auctions giant. However with a smaller presence of eBay within the local bidding market, Hong Kong, Taiwan and Japan are three countries that have kept their position in Asian. Both websites are natively Japanese only. However, with automatic translation browser add-ons, we are able to convert the websites, both auctions.yahoo.co.jp, and shopping.yahoo.co.jp into an English version. While translations between English and Japanese are known to be far from perfect, is is easy to register, and manage through the order processes and so on with this technique. Please note that you will need an address in Japan to make purchases. Or see the alternatives below for more options to purchase Japanese goods abroad. The popular Chrome browser has a built in feature of translation web pages as you go. Simply make sure, that the browser language and the website language are different. This setting will prompt you to convert the text into English. A similar feature is available as an add-on for Firefox. Known as “Google Translator Extension” it also creates an icon to the top right of your address bar where automatic translation can be managed. Thanks for visiting my blog. Regards, Tim. Experiences and suggestions are very welcome below! I run this proxy buying and bidding site. I am wondering if you can post about my service on your blog.